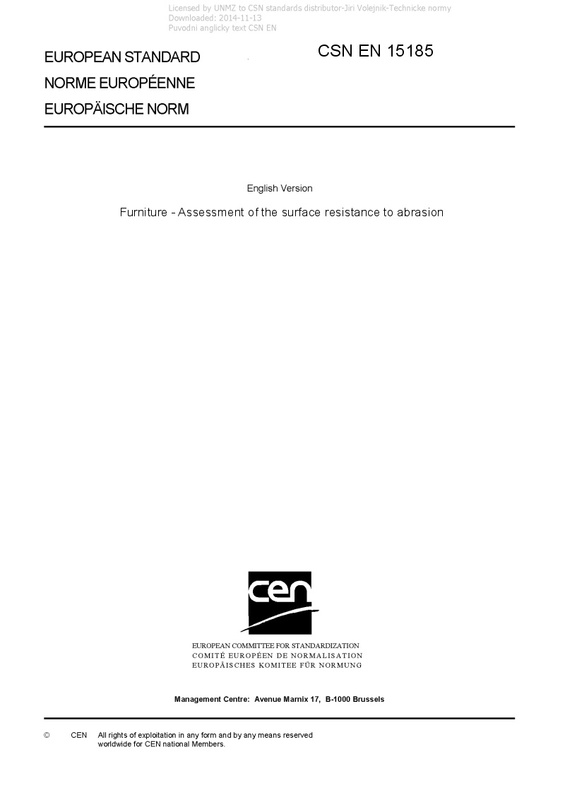 EN 15185 Furniture - Assessment of the surface resistance to abrasion - This European Standard specifies a method for the assessment of the abrasion resistance of surfaces referred to under 7.4. It does not apply to leather and textile surfaces. It does not apply to the surfaces covered by EN 14434. The test is intended to be carried out on a part of the finished furniture, but can be carried out on test panels of the same material, finished in an identical manner to the finished product, and of a size sufficient to meet the requirements of the test. The test shall be carried out on unused surfaces.